Saturday, March 7th, 4:00 pm. 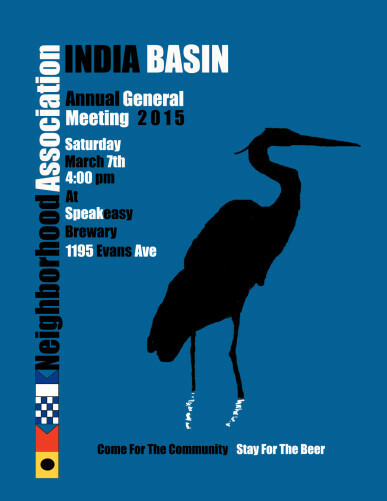 The India Basin community will be gathering at Speakeasy Brewery for our annual general meeting. So come out and enjoy each others company, sip and savor local Speakeasy beer (and root beer), and…..elect 3 new Board Members while you at it!